Introducing the YewdaleDefiant® channel side-guiding system. It boasts a slim aluminum side channel profile for vandal-resistant blind alignment, with plastic control lugs fitted into the Tear Drop bottom bar endcaps for a secure yet permanently fluid up/down movement of the blind in any situation. 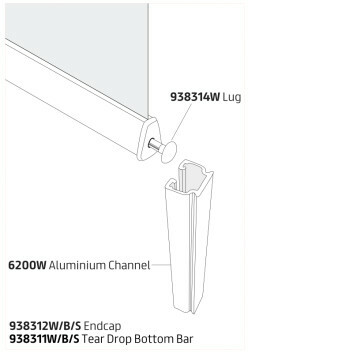 Developed to ensure a higher level of tamper resistance to roller blinds throughout the YewdaleDefiant® portfolio, this side-guiding system prevents the hanging bottom bar from excessive movement, either by air movement or persons around it. This helps to increase the longevity of roller blinds in high usage public areas such as colleges, schools, libraries etc. 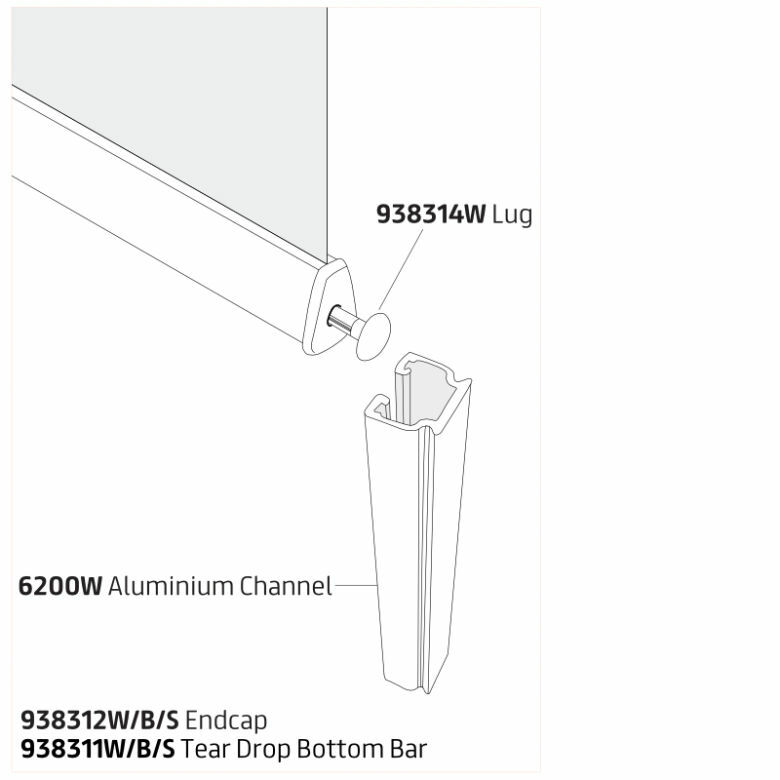 This YewdaleDefiant® channel side-guiding system compliments the Tear Drop bottom bar option and offers a greater light block solution than the popular wire side guide system. The YewdaleDefiant® channel side-guiding system as manufactured by Yewdale, +44 (0)1268 570900. Slim aluminum profile with rotating plastic bottom bar retaining lugs fitted to Tear Drop aluminum bottom bar (in black, white or silver) for robust positioning and tamper resistant mechanism.